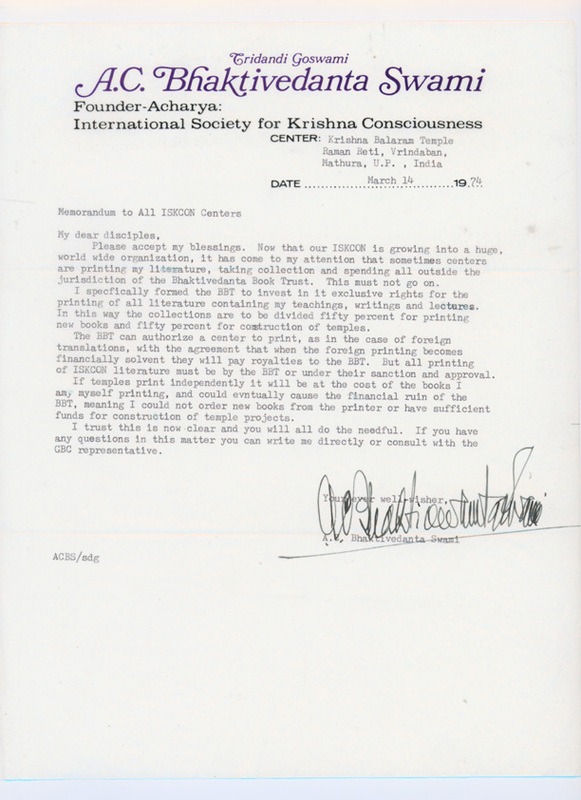 Official ISKCON temples and projects under the authority of the ISKCON GBC have blanket permission for incidental use of BBT text, art, and other material. For example: If you need low-res images for your temple website, they are available online here. (max. 20 images per Temple Website. Please use images with watermark copyright notice intact). If you need high-resolution images, you will need to contact the BBTI office for permission. But for some uses, permission is not automatic. For example: Let's say you wish to make or publish something entirely, or mostly, from BBT materials. Or items for sale, such as posters, calendars, or greeting cards. For that sort of use, please get in touch with us, and we'll work things out. By the way, you'll get better reproduction by using the high-quality scans we can provide you from our original transparencies or artwork. For help with this, please get in touch with the Bhaktivedanta Archives.